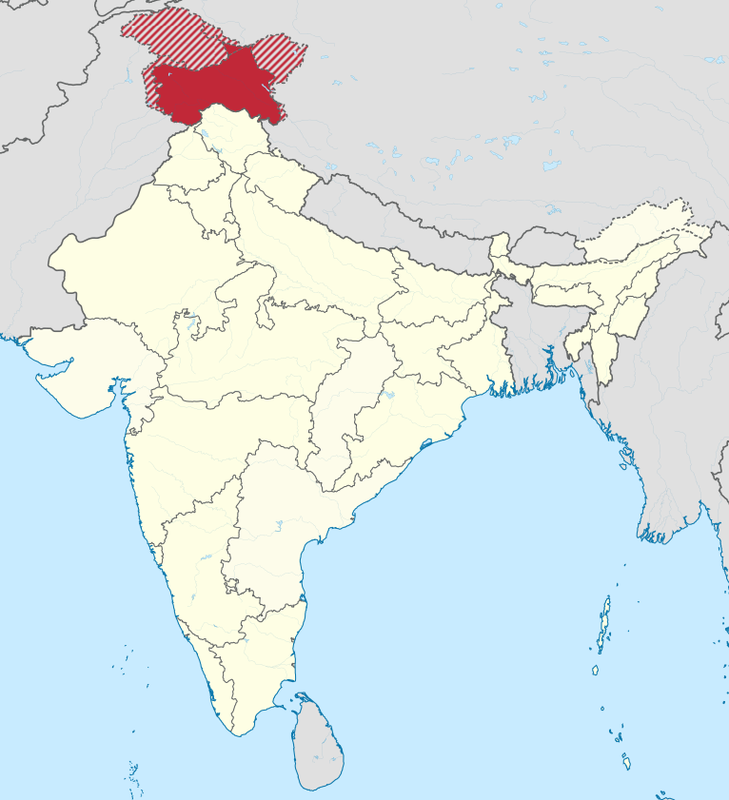 Jammu and Kashmir is a state in northern India, often denoted by the acronym J&K. It is located mostly in the Himalayan mountains, and shares borders with the states of Himachal Pradesh and Punjab to the south. Jammu and Kashmir has an international border with China in the north and east, and the Line of Control separates it from the Pakistani territories of Azad Kashmir and Gilgit-Baltistan in the west and northwest respectively. The state has special autonomy under Article 370 of the Constitution of India. Article 370 of Indian constitution gives special status to Jammu and Kashmir. 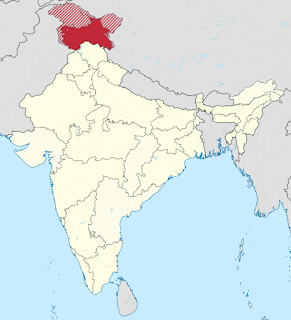 Ladakh is the largest Lok Sabha Constituency in India. Ladakh is also known as little Tibet. Siachen Glacier is the highest warfield in the world. It is also called 3rd pole of the earth. Operation Meghdoot was the code name the Indian Armed Forces operation to capture the Siachen Glacier (1984). Operation Vijay was the code name of the successful Indian military operation to push back the infiltrators from Kargil sector. The world's highest observatory has been set up at Hanley, Ladakh. The 300km long Srinagar-Jammu national high-way is the only surface link between the Kashmir valley and the rest of the country. Amarnath caves are in the state. Kashmir is the leading producer of Saffron in India. The only Indian state with two capitals, separate constitution and their own flag. Kashmir is called 'the Paradise on earth' and 'Indian Switzerland'. Sindhu River flowing only through Jammu and Kashmir in India. Lord Siva temple at Amarnath and northernmost point in India and a famous Buddhist centre at Ladakh are in Jammu Kashmir. The first train service in Kashmir was launched in 2008, between Anantnag and Rajvansher (66km). The state has been declared as the agro export zone of apple and walnuts. Hemis Gumpa is a major festival of Jammu and Kashmir. The second largest district in India : Leh, Kashmir. Information Act is not existed in this state.